Esterbrook J pen with a #1551 medium nib. Black body, steel trim. Excellent condition. Fully restored and working well. 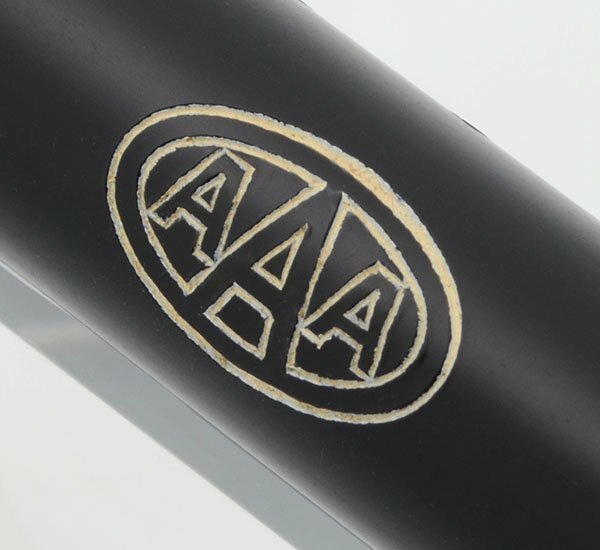 The barrel has an "AAA" logo printed on it. Manufacturer and Year Esterbrook, USA -- 1950s. Color Black with steel trim and black jewels on either end. Nib FIRM MEDIUM #1551 steel nib. It has a really good looking feed. 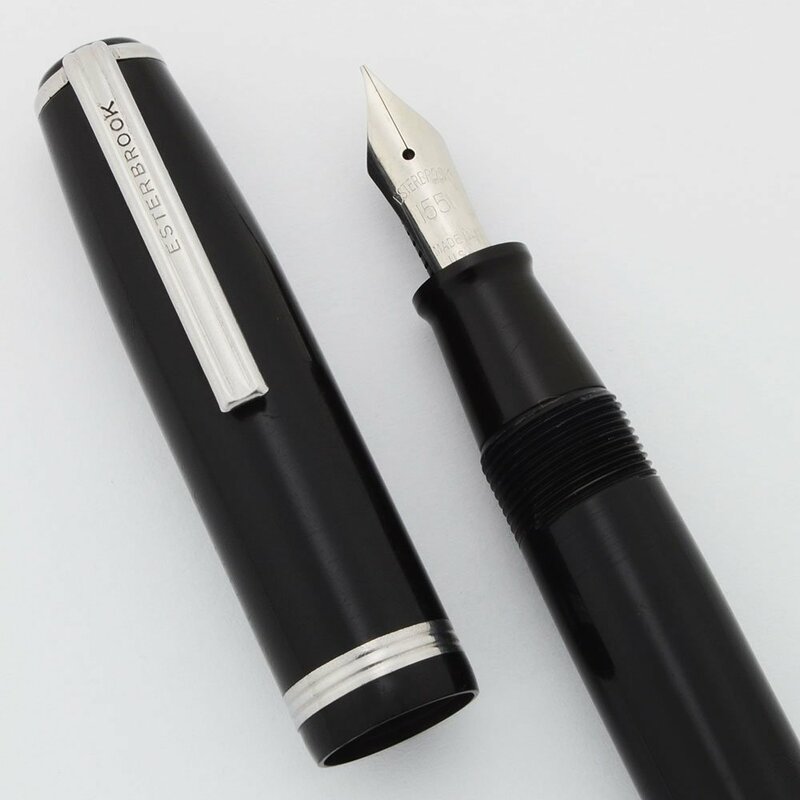 The 1000 series of Esterbrook nibs have no additional tipping. The 1551 nib is cataloged as Firm Medium for general school and clerical use. Condition Very nice condition. The barrel imprint is clear and the steel looks good. There is handwear throughout and bitemarks in the cap. To the left of the clip is a chip of missing material. It's hard to notice the wear though in indirect lighting. The barrel has "AAA" printed in two ellipses on it, the auto club logo. Fully restored and working well.